Travel companies and authorities of Vietnam and Morocco joined together at a seminar held in Hanoi to discuss potential co-operation between two countries in promoting tourism. This round table is organised by the Embassy of the Kingdom of Morocco and the Vietnam National Administration of Tourism (VNAT). It provided the gateway, for foreign travel agents, tour operators, airlines, tourism organisations, hotels and resorts in other international destinations to promote their products and services to potential customers in Vietnam. This is the first-time ever seminar for promoting tourism co-operation between Morocco and Vietnam. This event aims to showcase myriads of opportunities that Morocco and Vietnam offer, in term of tourist attractions and the hospitality industry, both within the two countries and wider, as gateways, respectively to Africa and South East Asia. “It is an occasion to explore Morocco and Vietnam prospects of co-operation, by promoting the exchange of information on tourist products of both countries, and exploring innovative ways for jointly developing new forms of co-operation in the tourism and hospitality sector,” said Ambassador Azzeddine Farhane. “Both our two countries have developed fruitful and efficient tourism strategies, as leverage for the national economy, laying the foundation for more private and public involvement to lift Morocco and Vietnam’s tourism industries into a new height,” he said. Salim Mikram, director of Marketing Department at the Moroccan Agency for Tourism Development, said the target is to place Morocco into the world’s top 20 tourist destinations, double tourist numbers​ and enhance sustainable and responsible tourism with custody of the environment and respect to the Moroccan authenticity, social and cultural life​. In 2017, Morocco received 11.3 million tourists, while Vietnam reached 13 million, during the same year. Hà Văn Siêu, vice chairman of the VNAT, said Morocco and Vietnam share a variety of tourism similarities and potentials, in term of stability, geographic position, wide and long sea shores, and hospitality and tourism infrastructure. 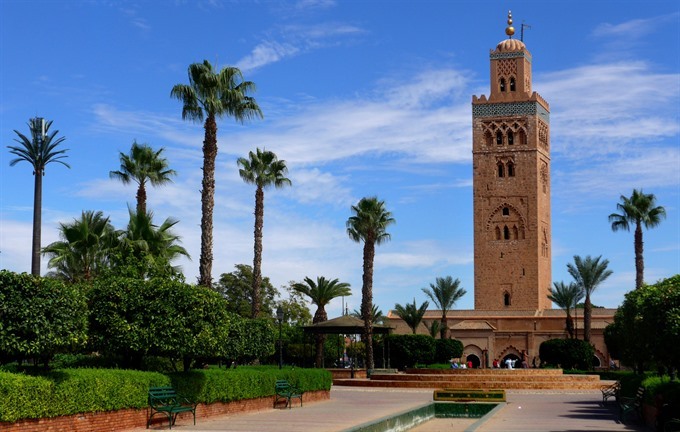 Morocco ranked top tourism destination in Africa in 2017, while Vietnam ranked first in Asia, one the world’s fastest growing tourist destinations for the same year. This shows the dynamism of their tourism sectors and their resilience to international market turbulent conditions, Siêu said. The event was part of the co-operation agreement signed between the two countries, on June 15, 2012, which set the framework to promote bilateral co-operation in the tourism sector./.